The industrial Revolution was a catalyst in the rapid and gigantic growth of the auto and heavy machinery industries. As more and more "difficult-to-grind" rnaterials and alloys were being used by these industries, the demand for higher quality, effective, and durable machine tools for cutting, grinding, and machining such materials continued to escalate. As a result, superabrasive diamond and cubic boron nitride (CBN) tools were invented to meet the needs of these industries and their heavy requirements. Today, development and use of these specialized tools has expanded to various industries as demand neyer ceases and new applications are being discovered. 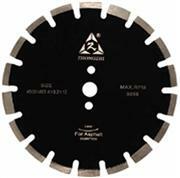 One of the most demanded tools is the "resin-bonded wheel", which is manufactured through the curing process of bonding diamond or CBN abrasives, with inorganic fillers, and using resins as binders, such as phenol and polyimide. Resin bonded wheels are now effectively applicable to ail sorts of grinding operations such as surface grinding, cylindrical and centerless grinding, grooving and internal grinding, and etc... It is ideally used for grinding super alloys, cermet, ceramic, glass, ferrite, high-speed steel, tool alloys, and many other new ultra-hard materials. 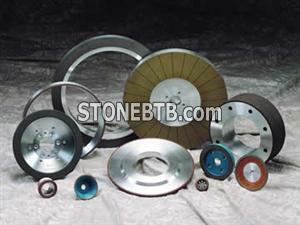 Many types of resin-bonded diamond wheels are specially made for fast and cool cutting. These are particularly suited for the grinding of carbide tipped and inserted tooling, such as saws, cutters, reamers, end mills, and etc... 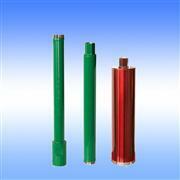 In addition, they are utilized in precision grinding operations on carbide dies, rolls and carbide wear parts. Resin bonds are the best choice for the precision finishing of ceramics as well as grinding tungsten carbide and ceramic thermal spray coatings. When combined with CBN, resin bonds can be used for grinding high-speed steels, tool and die steels, and superalloys with above HRc 50. DIPROTEX offers our customers the latest and highest quality resin-bonded wheels available today.